When was the last time you went to Clematis Street or Las Olas Boulevard with your friends for a night out dining on fine Canadian Cuisine? Okay, I know that Canadian Bacon doesn’t actually come from Canada. But, other than poutine (French fries with cheese curds and lamb gravy), what is Canada known for, food wise? “Peter” is a Canadian who owns a 90 foot yacht that I captain, on call. 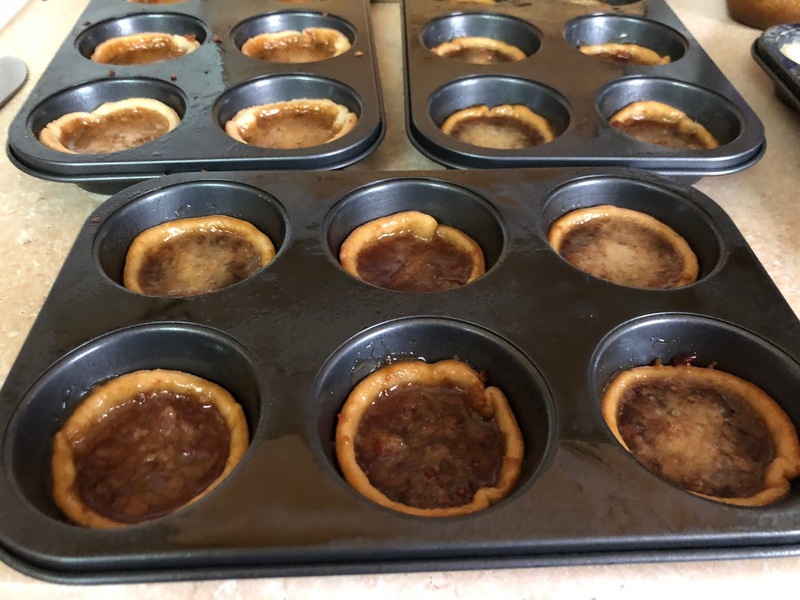 Yesterday, he sent me a couple of links about a summer time treat that folks in Ontario go absolutely bonkers over- Butter Tarts! Sensing a hint, I delved into the story. 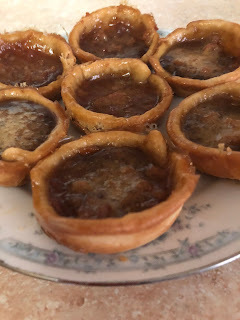 ”Butter Tart Trail” is a 30km stretch of rural Highway 6, with 18 different bakeries, markets and stores. Kenilworth, a town of 11,500 people in the middle of “the trail,” sells thousands of tarts a week. Business is so good that there is a rural battle going on over butter tarts. When the town of Wellington North heard about Kawartha Lakes, a 3 hour drive to the east, had begun their own butter tart tour, cease-and-desist letters were sent and lawsuits contemplated. One can imagine The Great Canadian Butter Tart Wars coming to blows over this delicious confection. Preheat oven to 375ºF. Cover a cutting board with parchment or wax paper. 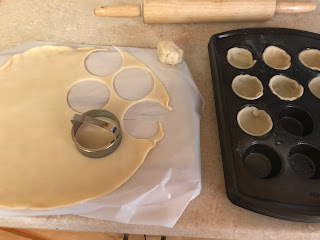 Roll out the pie dough and cut with a 3 ½” round cookie cutter to make the pastry shells. Save the leftover dough for repairs or roll it out again to make more shells. Coat your 9 count 3” mini-muffin pans (x 4 for this recipe) with non-stick spray. Carefully line muffin tins with the pastry. Place pans on middle rack of oven and bake until the shells start to brown and remove from oven.